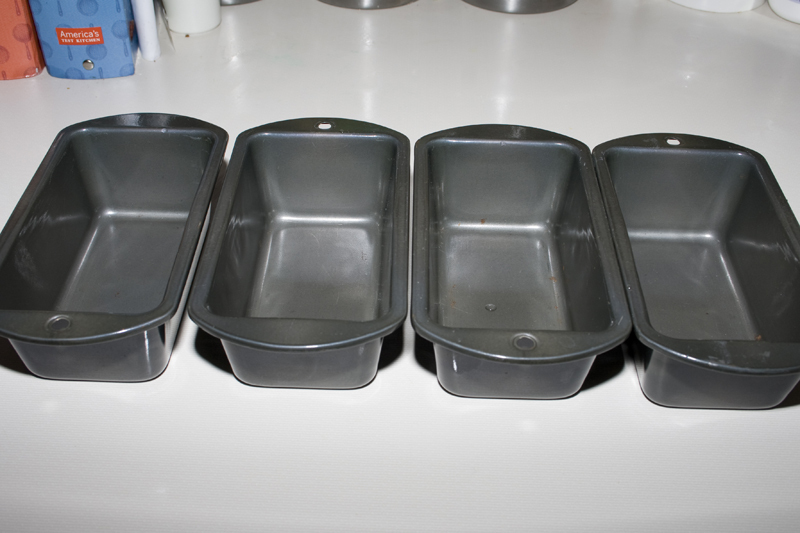 A few weeks ago my grandmother gave me four mini loaf pans. She knows me so well. I’ve been trying to use them ever since so I can bring her something delicious as a thank you. Yes, that’s what happens when you give me a baking item as a gift. I use it to make something awesome for you. The problem is, I got fixated on this snickerdoodle bread recipe I found. You may wonder why that’s an issue…and I’ll tell you. It’s because the recipe calls for cinnamon chips which (apparently) are seasonal. Not the season we’re currently in. But it was too late. 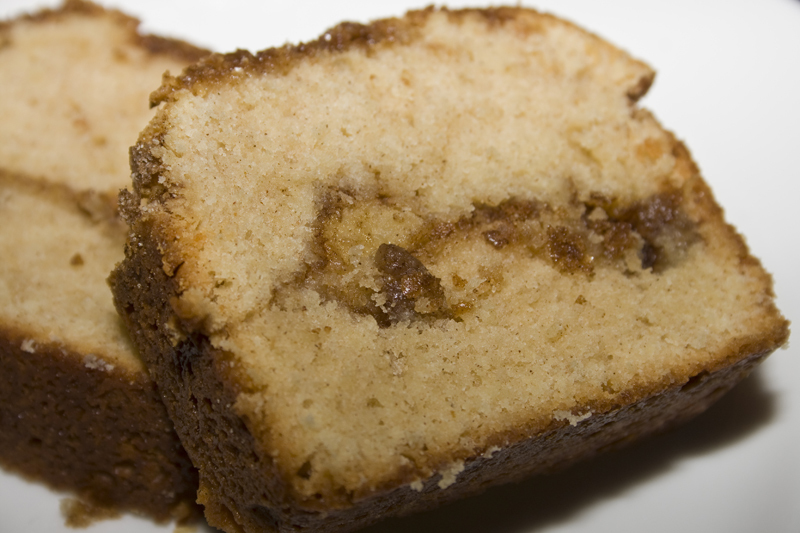 I wanted to make a cinnamon sugary bread version of one of the best cookies ever. Nothing else would be good enough for the maiden voyage of my new pans. What to do, what to do? I took some time reading the comments on the original recipe to find that people had substituted white chocolate chips as well as toffee chips in the bread and liked the results. Somehow I just couldn’t bring myself to spoil all that delicious cinnamon sugar goodness with a different flavor. I had just about given up and resigned myself to making some other kind of bread until cinnamon chips were back in stock, but then, a miracle!! My wonderful cousin came up with a solution for me without even knowing it. She made some cookies today that included a cinnamon butter inside. Basically like a cinnamon sugar caramel kind of deal. As soon as I saw her recipe I knew it was the answer to my dilemma. I could make the bread per the recipe, but instead of using the cinnamon chips, I’d swirl the cinnamon butter through the batter. Genius! We start by making our cinnamon butter swirl. 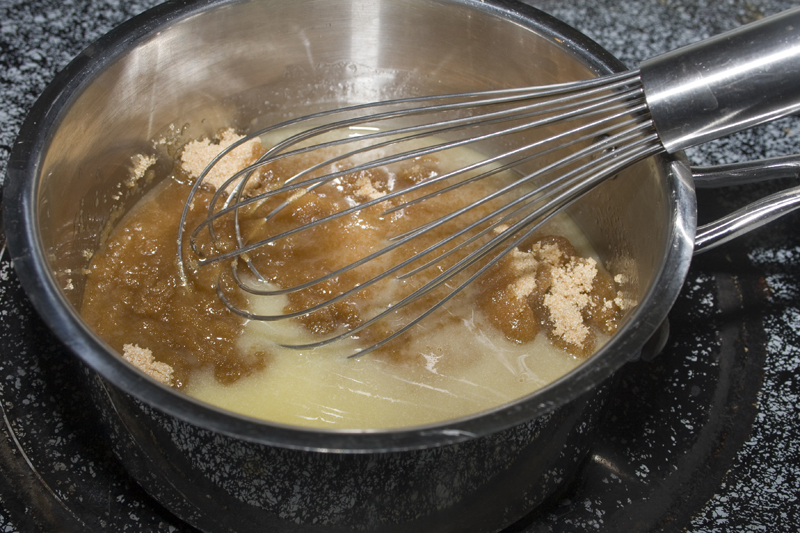 Some butter and brown sugar are melted together and boiled briefly. 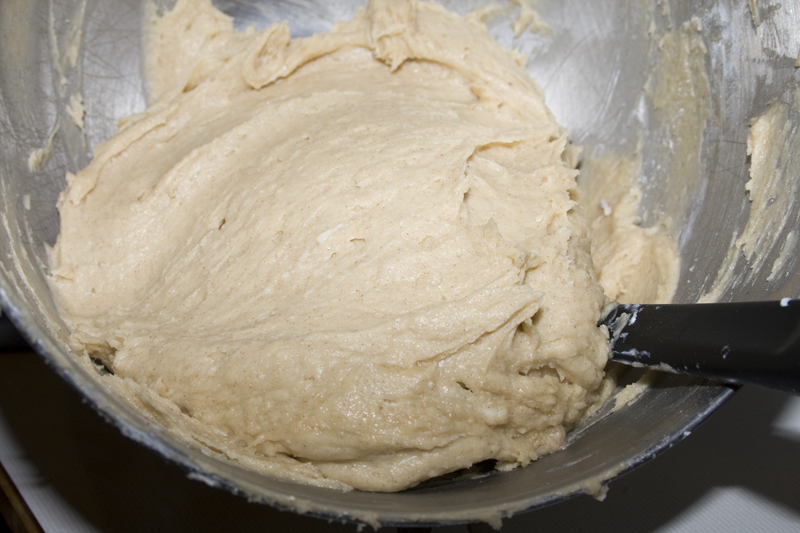 Add a little cream and some cinnamon then set aside to cool while we make our bread batter. Try not to eat with a spoon. Cream butter, sugar and cinnamon together. Add some eggs, sour cream and dry ingredients. Until it looks like this. It’s very thick. Spoon into your pans until about a third full. Then swirl your cinnamon butter around. I did about a tablespoon straight down the center, then swished a butter knife back and forth thru it. Top with remaining batter and another swish and swirl of the cinnamon butter. Then sprinkle with cinnamon and sugar. Bake until a toothpick comes out clean and the bread is golden with a crusty top. (worst part of baking) Allow to cool, then slice and enjoy. 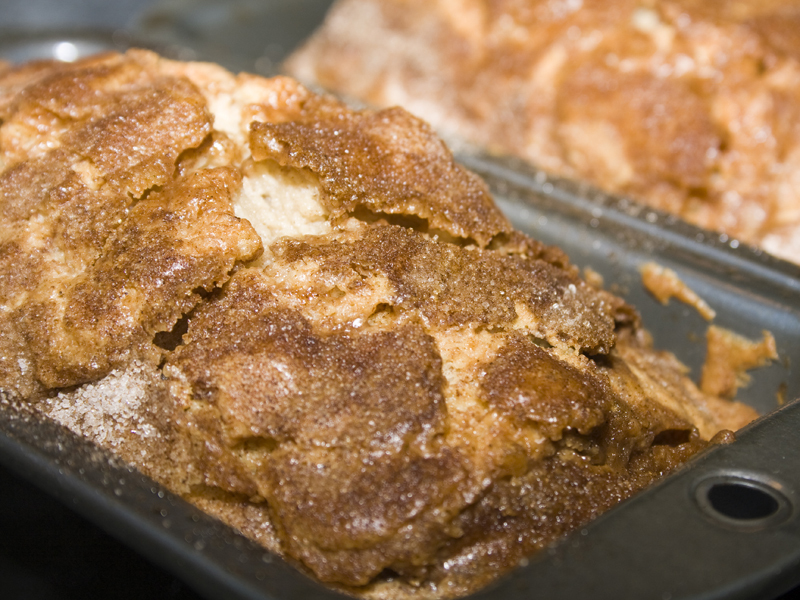 Lightly spiced sweet bread and that amazing buttery surprise in the middle topped with a craggy cinnamony crust. Yuuuum! Three of these loaves are headed out the door as gifts. Otherwise I’m at risk of palming one and just walking around all day munching on it. 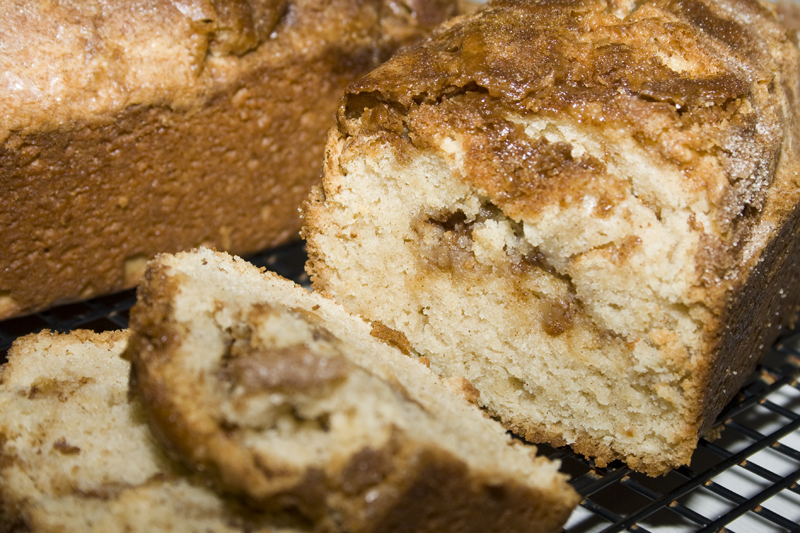 Have a slice (or a loaf) of this with breakfast. It’s not a cookie. It’s bread. That’s allowed. Just look at that gorgeous ribbon of buttery cinnamon goodness! In a saucepan over medium high heat, melt the butter. 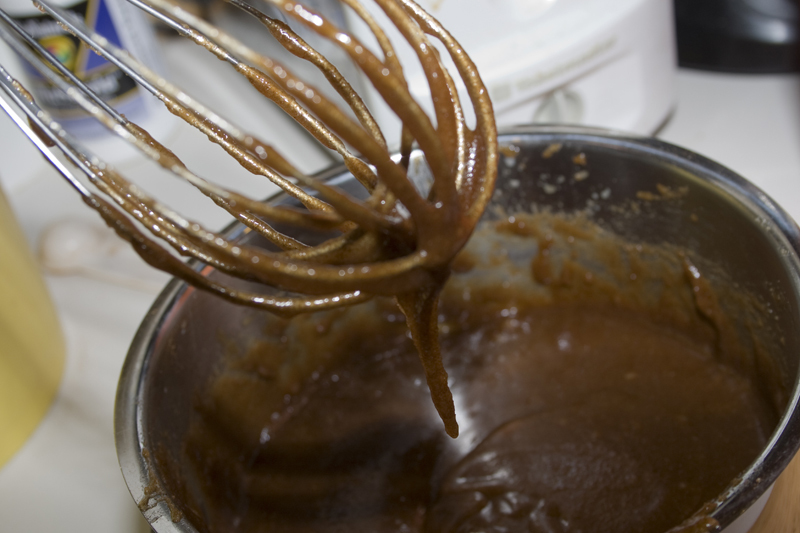 Add in the brown sugar and whisk, bringing it up to a boil. Let it boil for about one minute, remove from heat, and whisk in the cream. Add the baking soda and cinnamon and whisk until combined. Set aside to cool. Cream butter, sugar, salt and cinnamon until fluffy. Add eggs and mix well. Add vanilla and sour cream and mix well. 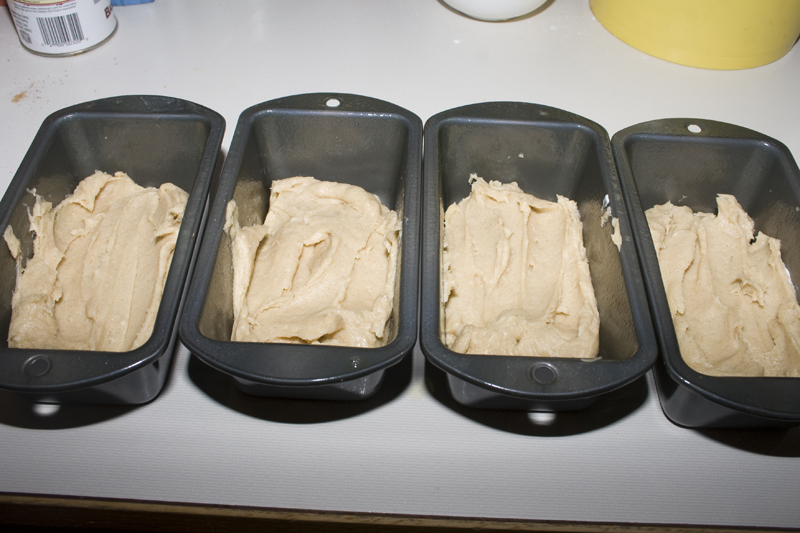 Mix flour and baking powder in a separate bowl. Add to wet ingredients and mix until all combined. 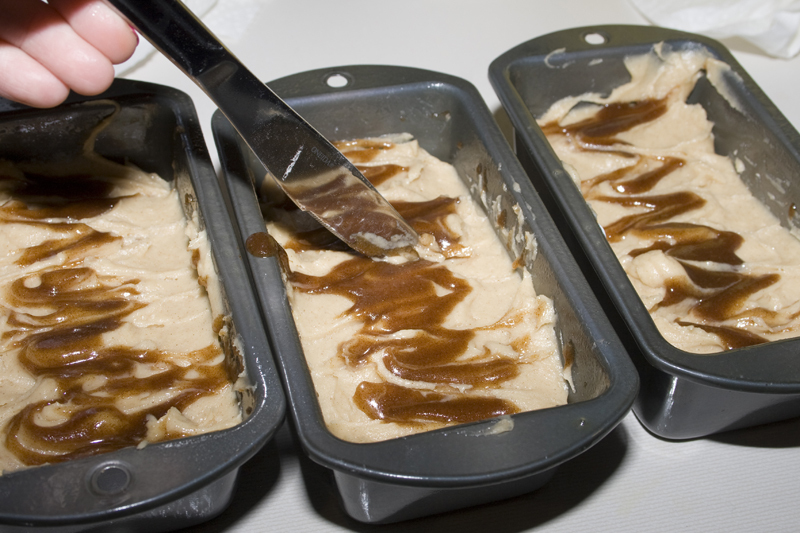 Spoon batter into 4 mini loaf pans until about 1/3 full. Dollup and swirl the cinnamon butter around in the batter. Add more batter on top til 2/3 full. Dollup some more filling and swirl again. 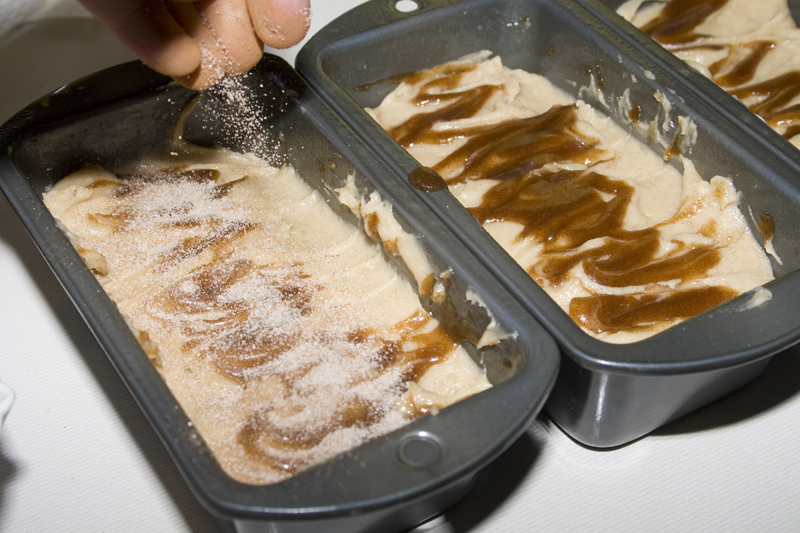 Mix 3 T. sugar and 3 t. cinnamon in a bowl and sprinkle over the batter in each loaf pan. Bake at 350 for 38-43 minutes. Let cool before removing from pan. I have those exact pans! I had better make this! If you have the same pans, you must!! What is the size of these pans? I have some but I’m afraid they’re smaller than these. There’s no size on them, but I think they are 2 1/2 by 5 (ish). Yep, mine are smaller but I’ll just adjust the baking time. Portion control. 😀 Thanks for checking. You betcha. Those must be TINY pans! 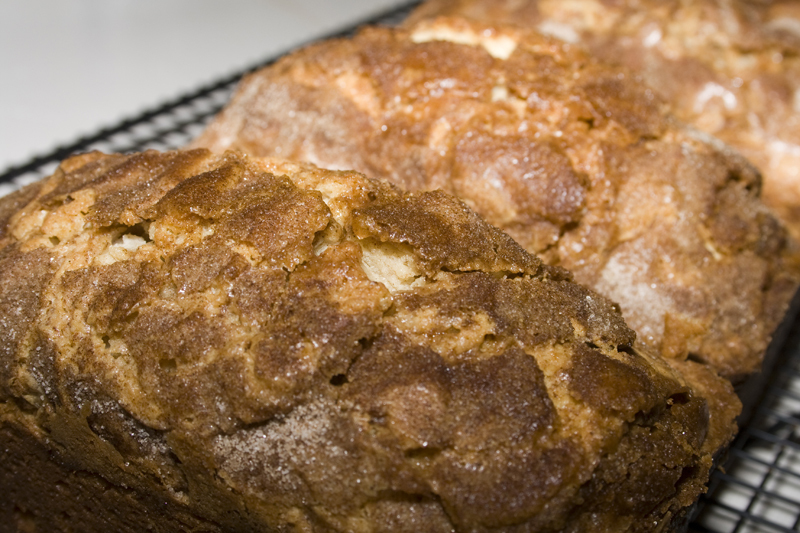 Love the idea of adding a butter cinnamon swirl to Snickerdoodle bread. So glad you enjoyed the recipe. My daughter just gave me a similar set of pans along with a few others ( I had been admiring her springform pan, lol ) Most of my bread recipes call for 5 minis, nice to see one that calls for 4. 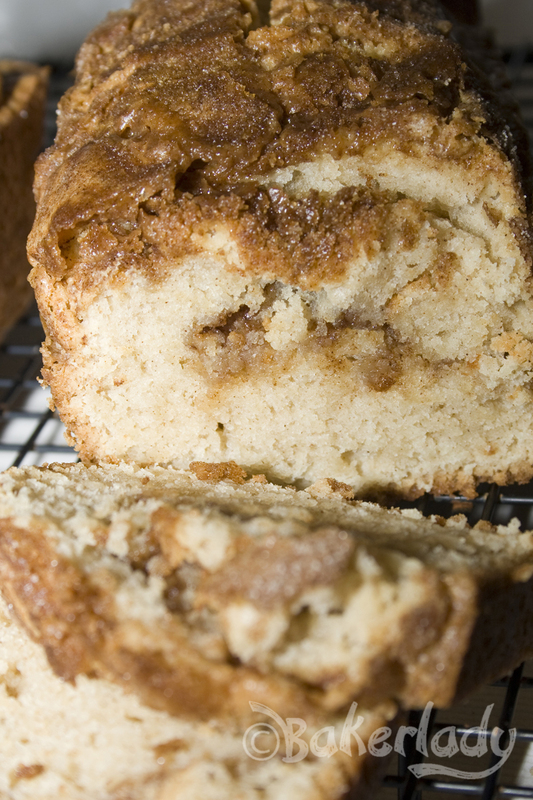 Have to try this, love, love, cinnamon baked into almost any sweet bread. Thanks! Sounds like you have a lovely daughter. 🙂 You’ll love this bread. Cinnamon baked deliciousness! The recipe is wonderful but my pans were to small and I have one big mess on the bottom of my oven to clean up. I think I will make it next time into 2 loafs and use big pans. This bread is delicious!! Are you using whipping cream? Heavy whipping cream? Do you think Fat Free half & half would work? Whipping cream or heavy whipping cream will work just fine. The half and half probably will too. Give it a try! Do you know how to convert this for a bread machine? my oven is broken but it sounds DELISH! I don’t know how to convert it for a bread machine. It’s a quick bread, not a yeast bread – so I don’t know that a bread machine would work. do you have a quick bread setting on your machine? Try mixing it as directed then skip the mixing part on your machine & just use the baking part of your quick bread setting. I recently got Cinnamon Chips (have them stored in my freezer) from King Arthur Flour.com . Check it out– maybe they’re still available. They’re a little pricey, but available. 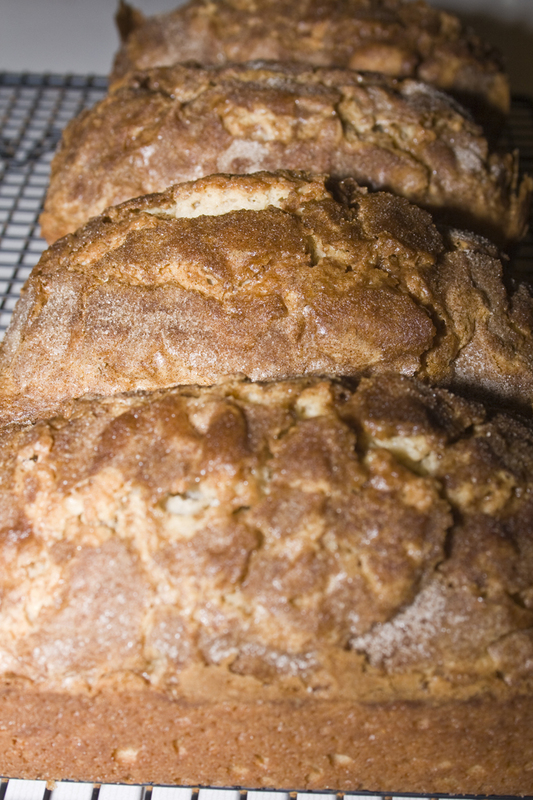 Your Snickerdoodle bread sounds wonderful. I’m going to be making this one. YUM YUM !! Thanks for the heads up! I never thought of freezing them! I LOVE that you adapted this recipe to be all from scratch! I avoid anything processed as much as possible, and there was just no way I was going to be able to make myself use cinnamon chips. 🙂 Thanks! I have no idea what I did wrong. But mine all fell. Any suggestions? I’m so sorry yours didn’t turn out! Usually if I have problems with bread falling, it’s because I didn’t bake it long enough. If the middle isn’t completely done on these, it can’t hold the weight of the topping. I made these and everybody at work loved them. Will be making again real soon. Okay so this is probably a stupid idea but if you adjusted the time cooked, do you think it would work to make muffins for this? Not a stupid idea at all. Yes, I think that would work just fine! Yes, I’m sure they would freeze well. What kind of cream for the cinnamon butter swirl do you recommend using? I am planning on trying it this weekend….maybe as muffins. It looks wonderful! See, now I have to make these! Good blog! I truly love how it is simple to browse. I’m curious how I might be notified whenever a new post has been created. I have registered to your RSS feed which should do! Have a nice day and plz excuse my poor english! I would LUV to try this, but I do not buy whipping cream…would evaporated milk work?? Also, is it strictly butter, or could I use lite margarine?? Looks YUMMMMMY!!! It said “cream” above for the cinnamon butter swirl. What kind of cream are you referring to? Heavy whipping cream. In a carton. I made this in one large pan, it is too much batter for that, It collapsed in the middle and ran over in the oven. Boy oh boy it tasted wonderful regardless. I am going to make it again using smaller pans. I was wondering did you use ALL of the butter swirl mix in your bread? I noticed in your instructions you used a tablespoon in each pan, that surly leaves a lot left over, just checking before I make It again. Great Bread! Thanks for sharing your recipe. I thought I had a big loaf pan when I started making this, but I didn’t. So I used a bundt pan and just made it from the top up. It was delicious!! I also had some of the cinnamon butter left over so I topped it with that and a small amount of powdered sugar icing. Will definitely be making again. Baking quick bread is the BEST! I can’t wait until my house smells amazing with this recipe in the oven! Made these for a bake sale. Fabulous! This is way better than the recipe using cinnamon chips I had previously tried. With three cubes of butter, sour cream, etc. you certainly don’t have to worry about the cream. Milk works just fine. I just finished eating half a snickerdoodle muffin. It was very good. This recipe yielded 1 regular sized loaf and 3 large muffins. Unfortunately, the amount of work it took was not worth the yield. Plus the cinnamon butter made it difficult to see when the rest of the bread was done. If I can ever find cinnamon chips, I will try to make this the other way, but thanks for the alternative. I have a really stupid question. I am attempting to make this recipe but I am at a loss when it tells me 2-3 tablespoons cream. When you say cream what are you referring to? Hi Cheryl. Sorry for the late response, I’ve been on vacation for a couple weeks. The cream is heavy cream. Liquid, found with the milk at your grocer. Hope that helps! I found this on Pinterest a couple years ago and it’s my favorite sweet bread recipe ever!! Been making it ever since. Thanks so much for sharing!! I’m glad you love it. Something about cinnamon is just so perfect. Mmmm. I’m going to try rolling white chocolate chips in cinnamon as substitute for cinnamon chips. Think white chocolate will be a nice addition. Hope it works; pictures makes this a must try recipe. Thanks for sharing. I made this recipe and it was very delicious. Do you think I could make I large loaf instead of the 4. I just made this recipe. I used a pampered chef loaf pan. I used most of the batter in the loaf pan but felt like it would be too full. I put the rest in a small mini loaf pan. They both have turned out well. It’s really good. The larger loaf is for a friends birthday. I will make it again for work and gifts. Thanks for a great recipe.